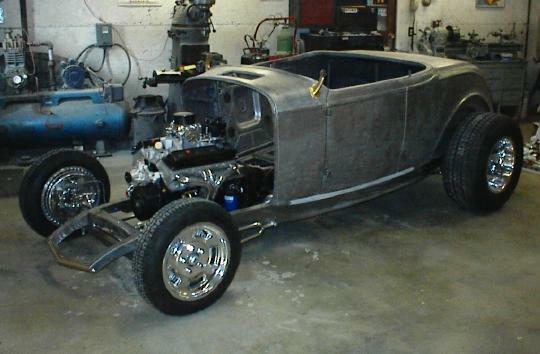 Here's a shot of the body set on the chassis for the first time. The floor, except for 2 crossmembers, has been removed. The original floor will be modified before reinstalling and the front floor will have to be hand made.